The Humboldt Park Field House, built in 1928. HUMBOLDT PARK — Humboldt Park's welcome center for Puerto Rican evacuees is ready for its debut, Ald. Roberto Maldonado (26th) said. 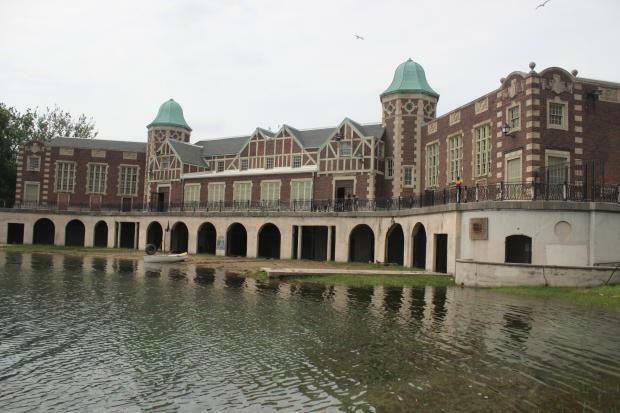 The welcome center opened Thursday morning inside the Humboldt Park Field House, 1400 N. Sacramento Ave., and will also be open Friday, Maldonado said in an email to constituents. Moving forward, the center will be open two days a week. It'll be staffed between 10 a.m.-4 p.m. Mondays and Tuesdays, the alderman said. At the center, evacuees will be able to find food, clothing and health care services, as well as information about housing and education, Maldonado said. Initial casework for city services will also be provided. "After landing, this will be their first stop in Chicago," Maldonado previously said. As of Oct. 2, about 1,600 Puerto Ricans had already made their way to Chicago in the wake of Hurricane Maria, according to Alicia Tate-Nadeau, executive director of Chicago's Office of Emergency Management and Communications. Hurricane Maria, the more devastating of the two disasters, hit Puerto Rico on Sept. 20.